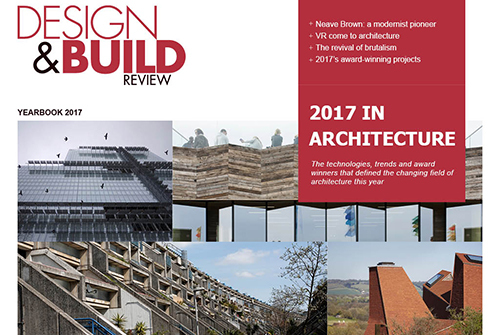 Design & Build Review brings you the latest news and insights from the architecture and construction sectors in a stunning, interactive format. 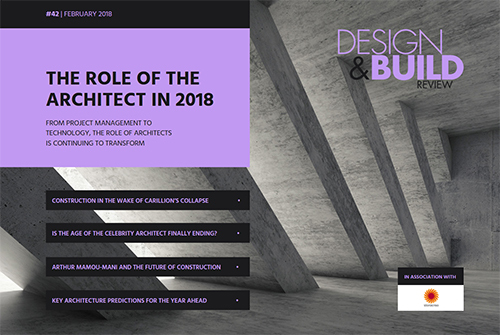 Produced by a team of experienced editors and contributors, this bi-monthly magazine offers analysis of key issues affecting the industry as well as the latest technological developments, looking at commercial, residential and mixed-use buildings of all sizes, urban planning and development around the world, environmental considerations and the materials and technologies used by today’s architects to create the buildings of tomorrow. 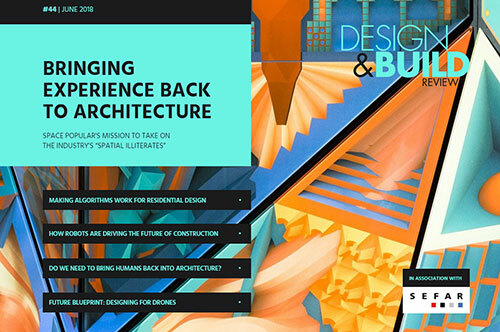 Subscribe to Design & Build Review and never miss an issue. 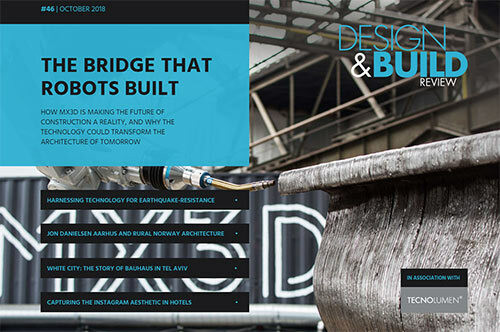 The bridge that robots built, Harnessing technology for earthquake-resistance, Jon Danielsen Aarhus and Rural Norway architecture, the Story of Bauhaus in Tel Aviv, and more. Snøhetta and the sustainable data centre, Chris Wilkinson on adding a new skyscraper to Sydney, elevating urban infrastructure in New York, designing the future smart home today, and more. Space Popular’s mission to take on “spatial illiterates”, making algorithms work for residential design, how robots are driving the future of construction and much more. 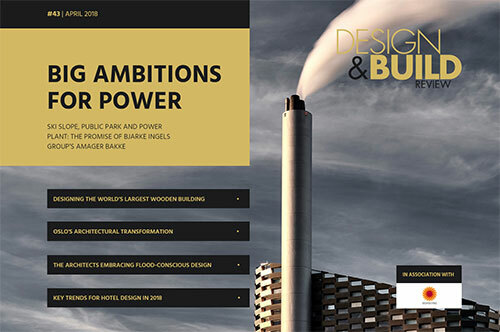 The promise of Bjarke Ingels Group’s Amager Bakke, designing the world’s largest wooden building, Oslo’s architectural transformation, the architects embracing flood-conscious design, key trends for hotel design and much more. In this issue: Toronto’s modular CLT skyscraper, rethinking airport design at Venice Marco Polo, retrofitting for PassivHaus status, house in the wake of the UK budget and much more. A look back at 2017’s top technologies, trends and developments in architecture, with profiles of key award-winning projects. In this issue: MVRDV’s green plans, fire safety after Grenfell, hardwood CLT and healthcare and designing power storage systems into homes. In this issue: How the co-working revolution is driving a transformation in office design, the privatisation of public space, the RIBA’s view of the UK election manifestos, the elegant restoration of listed buildings and much more. In this issue: the plans for a wooden skyscraper in the heart of Lagos, Nigeria, how Brexit is impacting the UK construction industry, the global impact of Bauhaus, hopes for Birmingham in the wake of HS2 and much more. In this issue: the wooden football stadium offering a model for future eco-conscious stadia design, building Asia’s largest Passive House scheme, the RIBA’s report on what construction clients want and much more. In this issue: The implications and potential of Britain’s Brutalist revival, transforming retirement housing, the architectural, social and political role of the humble American garage and much more. In this issue: How Weston Williamson is creating a modern, inspiring space for scientific research in Cairo, the key to sensational social housing, 2016’s reinvention of public spaces and much more. In this issue: The build-to-let projects putting family at their heart, how bone could become a building material, the danger of smart cities, the regulation of the architectural profession and much more. In this issue: How Internet of Things technology could transform sustainable building management, Europe’s largest green space initiative, tackling waste in the construction industry, Zaha Hadid’s career in buildings and much more. In this issue: MVRDV and Tramhaus reinvent the suburbs, the rights and wrongs of restoration, the new architectural tools, Brexit and the construction industry, the structures of Chelsea Flower Show and much more. In this issue: Co-living as a model for future urban housing, the battle for London’s skyline, when imitation becomes copying, involving psychology in design and much more. In this issue: the design projects transforming India’s public spaces, skyscrapers of the future, transforming a power plant into a music studio, the blurring of video games and architecture and much more. In this issue: Sensitive building conservation, rabbit-hutch homes, tornado-proof design, sustainable city planning, Zaha Hadid Architects’ Heydar Aliyev Center, the work of Aldo van Eyck and much more. In this issue: London’s controversial proposed bridge, tackling the UK’s construction skills shortage, designing obsolescence-proof smart homes, the career of Charles Rennie Mackintosh and much more. In this issue: The plan to overhaul Moscow’s Riviera, designing with air quality in mind, a potential refugee housing solution, overhauling Paddington, concrete plus and much more. In this issue: How innovative design is keeping the bookstore alive, why containers are booming for restaurants, how Dubai is building creativity in the city, modular housing’s future and much more. In this issue: MAD Architects introduces nature to skyscraper in Los Angeles, why starchitects don’t always guarantee a project’s success, the Walkie Talkie’s disastrous legacy, designing for contemporary faith and more. In this issue: Plans for a record-breaking wooden skyscraper, designing with augmented reality, slot-together 3D printing for home construction, a ‘green corridor’ for London and more. 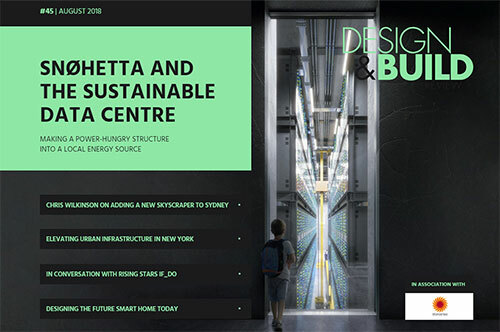 In this issue: Designing future cities in 3D, high-rise towers vs low-rise alternatives, innovative ideas for urban vertical farms, living coastal defences, the B10 active house, new designs for LEDs and more. In this issue: A new public space in the Thames Tunnel, turning abandoned urban spaces into farms, how gender mainstreaming has influenced city planning in Vienna, integrating energy generation into new building blueprints, big ideas for small interiors, and more. In this issue: We explore how designs for museums are changing to meet the technological revolution, learn how CAD software continues to change design fundamentals, see the change volumetric construction is having on housing problems, look at the skyscrapers of the future and more. In this issue: We explore the proposed ways that we can create our future cities to embrace, and not fear, water. Find out the best new staircase designs, eradicate crime by using progressive design, take a look at the latest solar innovations and more. In this issue: Ideas for pollution-free city spaces, the construction boom changing the face of China’s cities, design considerations behind Heathrow T2, the engineering challenges of megatall buildings, innovation in wood and more. We ask if micro homes can curb the housing crisis, find out about the science behind green roofs, profile Honda’s smart home and more. The Green Issue: How to achieve LEED Platinum, the world’s most eco-friendly buildings, the UK’s sustainable school blueprint, timber’s renaissance, ‘living’ buildings and materials, and a vision of cities built on water. The Infrastructure Issue The airport as a design icon, personal rapid transport from the design team behind Ferrari, artificial islands for natural disaster refugees in Japan, the master plan behind Rio’s Olympic Park, and more. The Materials Issue From biomimetic designs to 3D printing and ancient materials revived, we explore innovative building blocks for the construction industry. The Interiors Issue From futuristic hotels to super-sustainable homes and from modern malls to iconic metro stations, exciting interior designs are transforming our everyday spaces. The Construction Special Issue We look at essential software for engineers, investigate Brazil’s construction boom and explore grand examples of tower construction, civil engineering and acoustic design. Metropolis Re-Imagined As many of our cities rapidly outgrow their capacity, architects are redefining the concepts of urban space. Greener by Design From eco-friendly materials to smart buildings that capture renewable energy and blend in with the landscape – new design concepts are leading the way into a sustainable future. Transforming London From Olympic landmarks to modern transport lifelines and iconic towers emerging in the skyline, the UK’s capital is taking shape for a new era of economic revival.